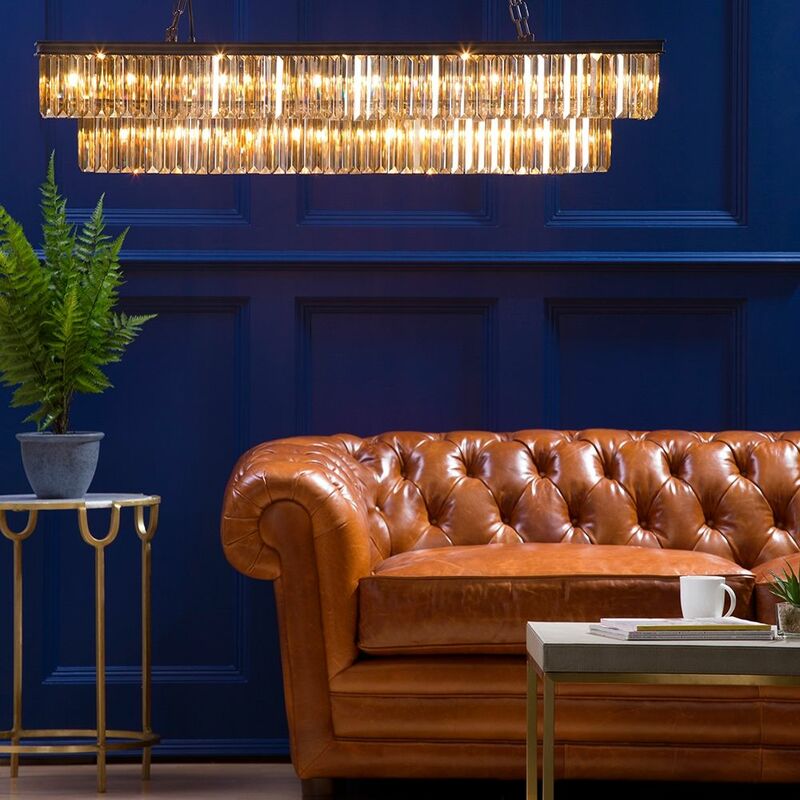 Pendant bar lights are perfect for giving a wide spread of light to your home in a more effective manner, coving a large area and giving stylish illumination. 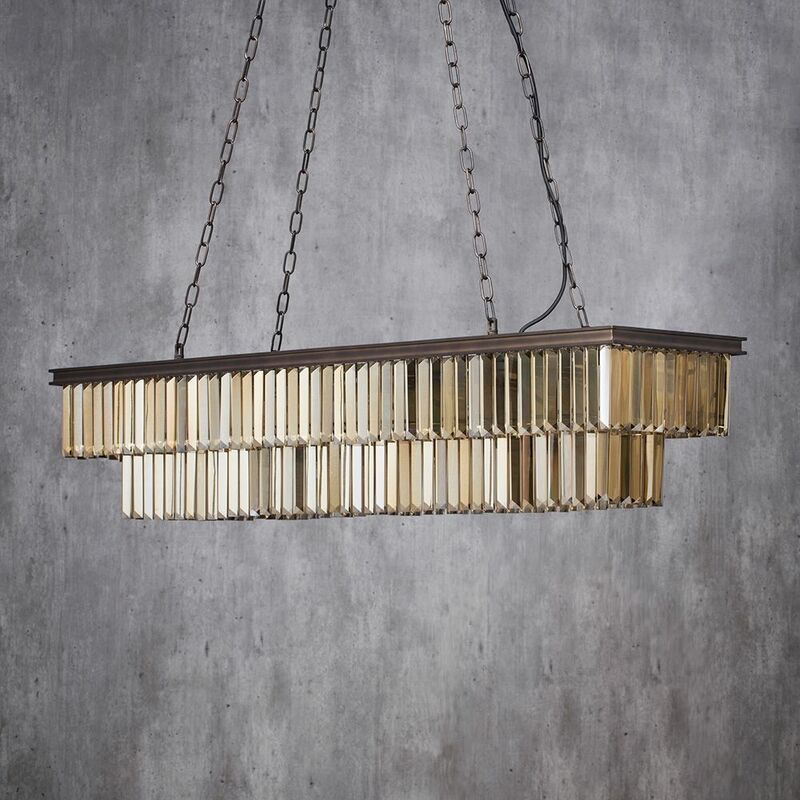 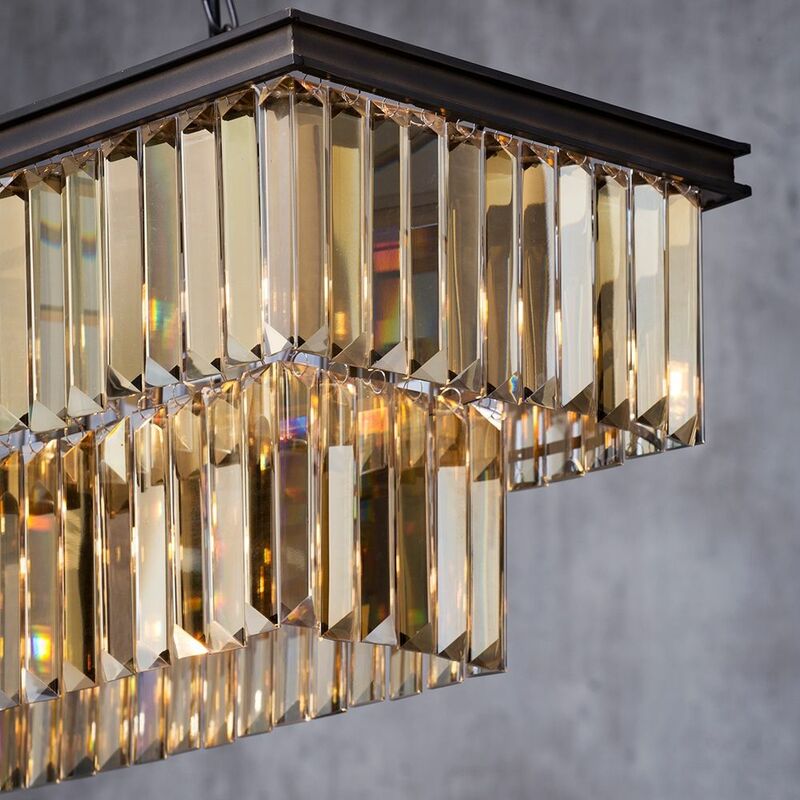 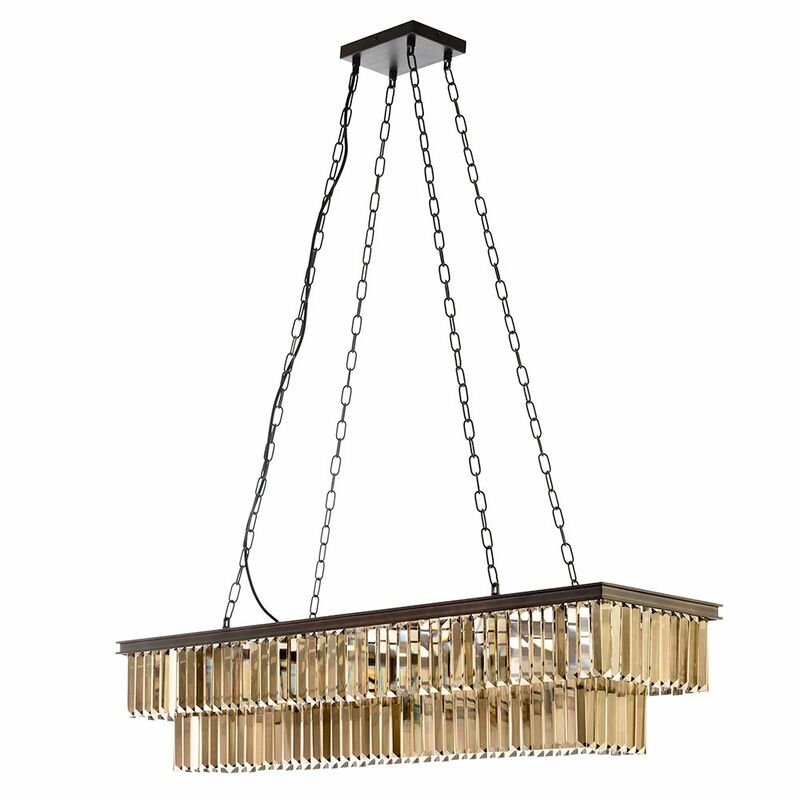 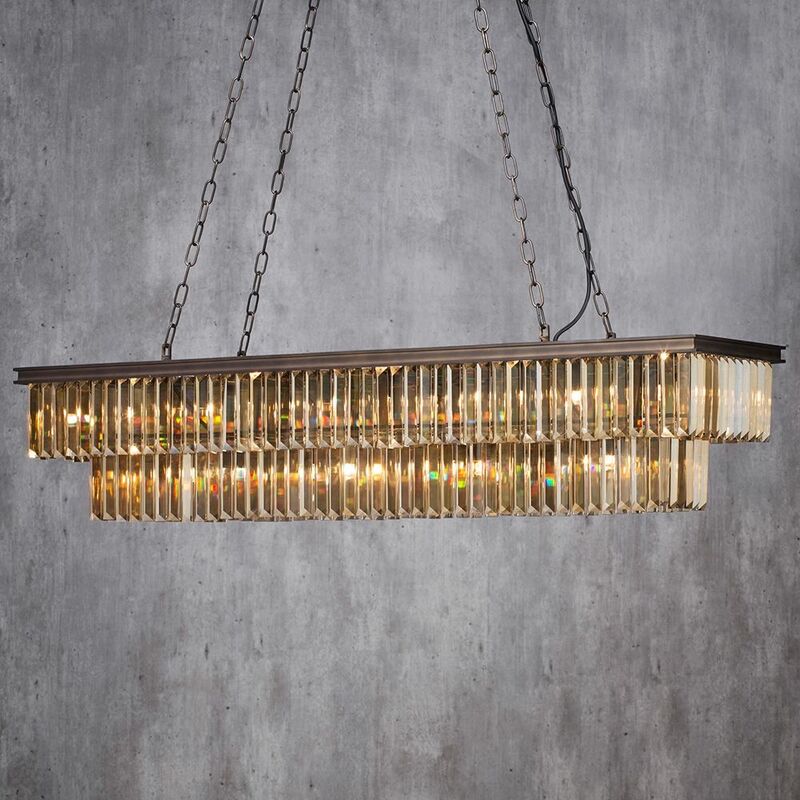 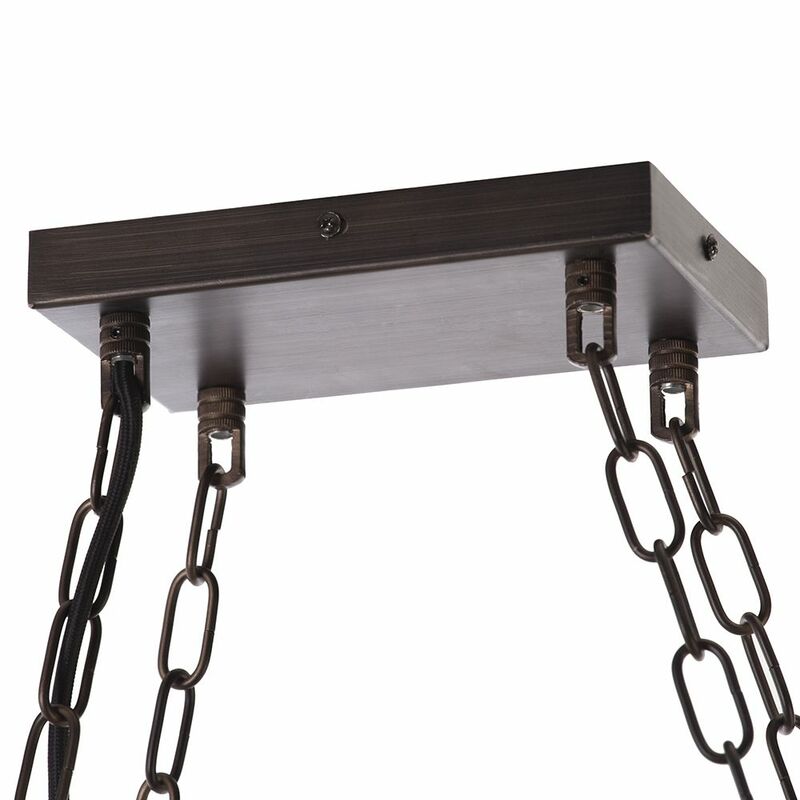 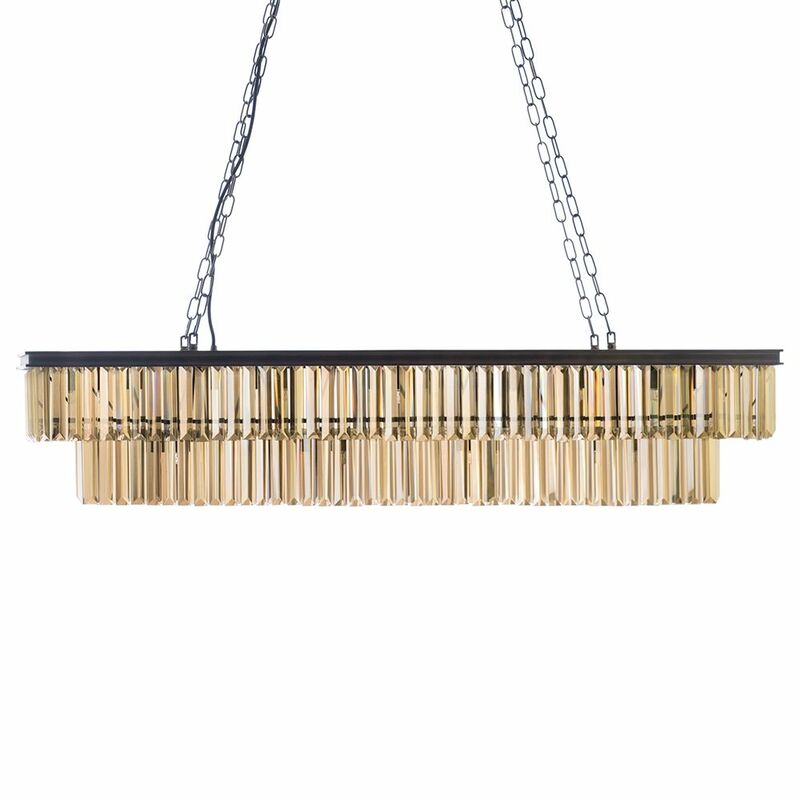 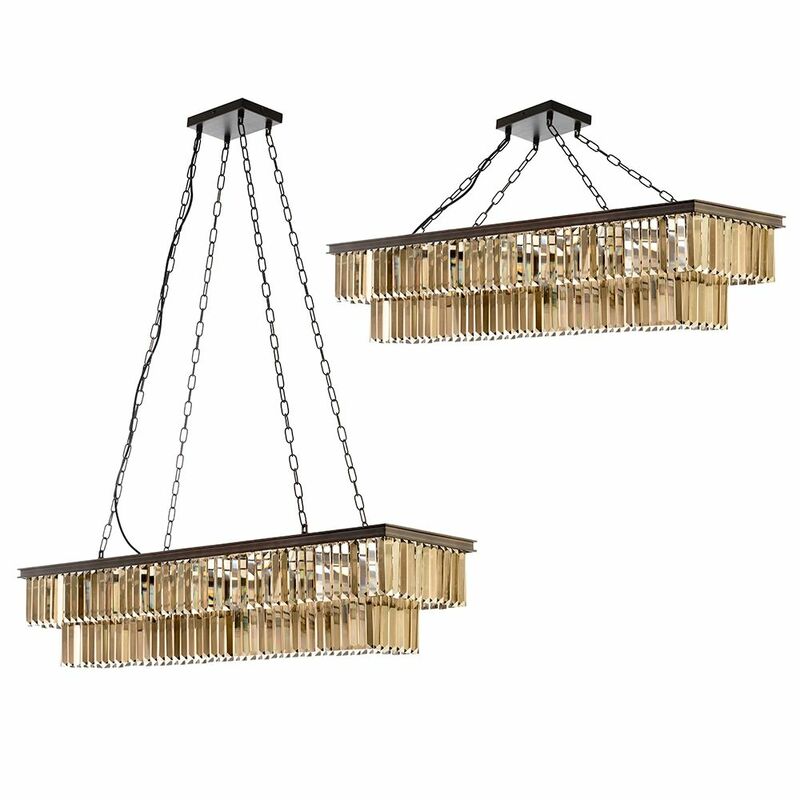 This gorgeous pendant bar is perfect for any household looking for a truly elegant image, with the hanging crystal prisms giving a tiered effect which is sure to give a unique and fashionable shimmer to the light that is produced. 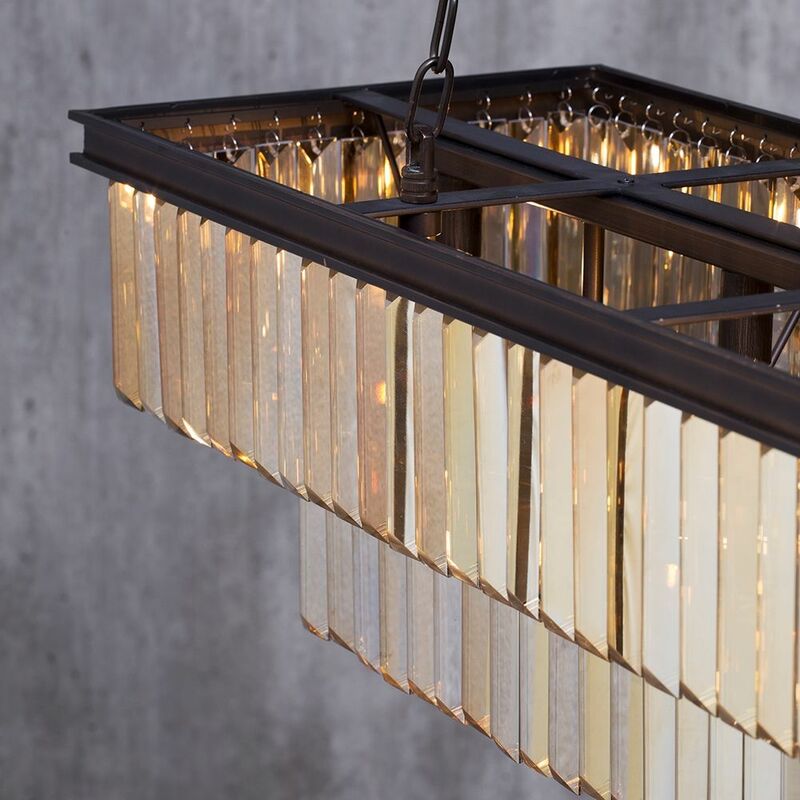 With a rust effect finish and an adjustable drop height, this light is a marvellous addition to any household regardless of the ceiling height. 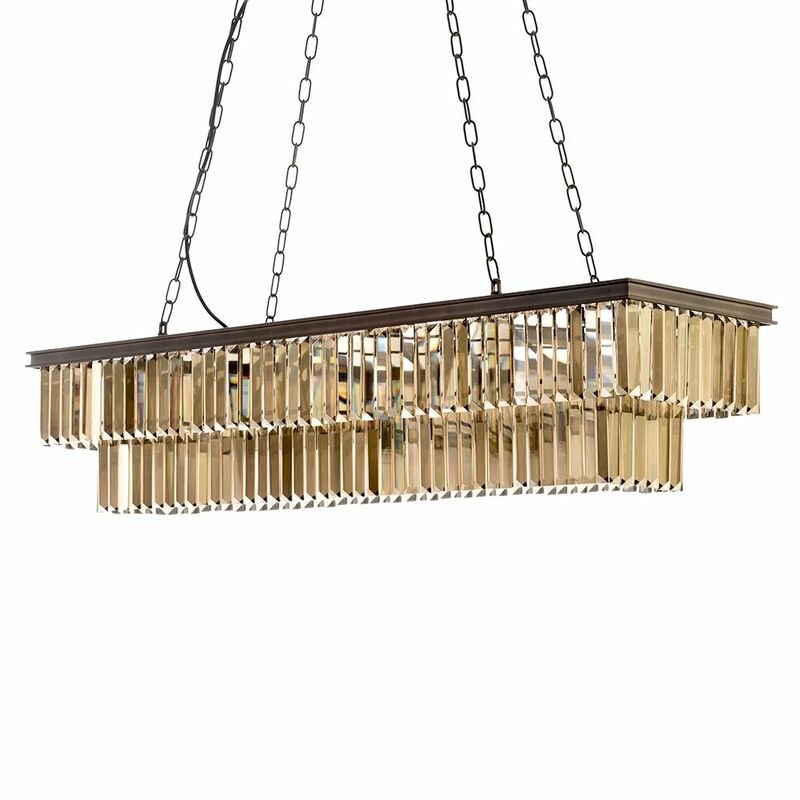 This heritage Visconte fitting is a spectacular piece for any home and is sure to be a longlasting and timeless addition to your interiors.